We worked on a to do list app for Google Glass, enabling users to easily add, edit, delete a task and reorder tasks on Google Glass. This is one of my school projects where we went through a whole UX process, researching and testing about the "why" through both design and development. 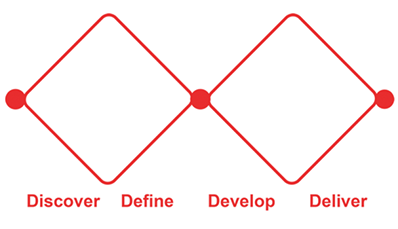 The process we went through can be perfectly described by double-diamond design process model (see image below). Double diamond design process model, introduced by the Design Council in 2005. To fully investigate the problem space of note-taking, we conducted unstructured interviews of 15 subjects from a variety of demographic and socioeconomic backgrounds. Then we coded users’ responses by looking for commonalities in the challenges users faced and their contexts. - Availability of notes and speed of taking a note are extremely important. - People relate importance with visibility. - Most people (not all) do not revisit tasks once they were completed. After the interviews, we concluded the results into requirement metrics to help Define the project's fundamental features, including using Google Glass to ensure availability of notes, enabling users to reorder the tasks, adding functionality of adding photos and so on. The requirement metrics we created. 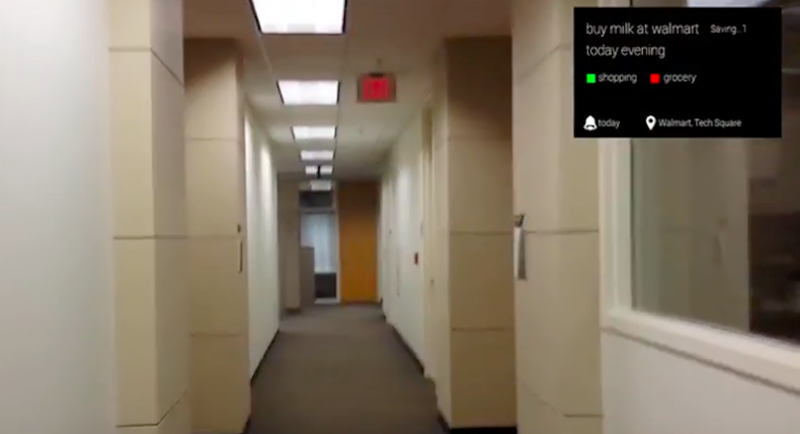 One typical task scenario: A user wants to add a to-do when walking down a hallway. From that, we continued our Develop phase, in which we designed the flow of interactions based on user task, and incorporated it into Google Glass’s card concept. Then we transferred the mockups into a web prototype and conducted user tests to collect initial feedback. - Todos needed to be more visible. - The design needed to provide more cues to the user with regard to functionality. Finally, we implemented the Google Glass application based on user feedback, adding additional hints to indicate selected todos and possible gesture commands. We then conducted heuristic evaluations and user test with benchmark tasks to conclude future work including increasing the application’s level of context awareness. My focus in this project are user research, user experience design and project management. Research. I took the lead in conducting the evaluation including designing tasks, writing scripts, testing with several users and analyzing results. When doing research and analysis for this application, it is important to distinguish the problems novice users experienced with the Glass technology from the feedback regarding to the actual application. Design. 4 people in our team expressed their interests in doing UX design (one team member as the design lead). 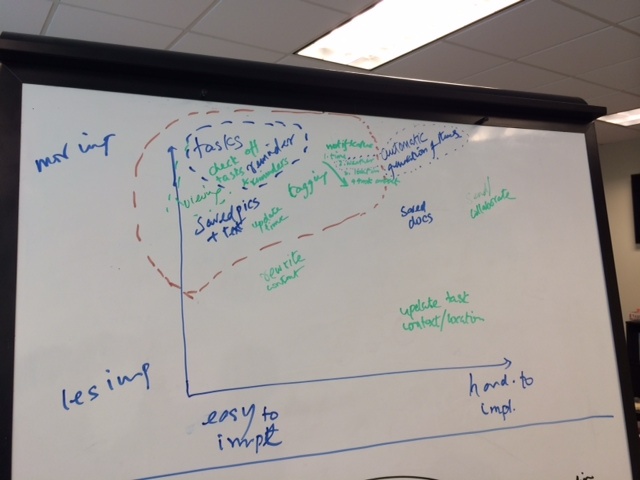 So each of us generated a low fidelity wireframe based on research, then generated the second design iteration by combining the best ideas from each individual design. The wireframe design itself should be the simpler the better. But this makes it even more important to check on the user flow and make sure every use case is covered. Project management. For this team (5 people from different backgrounds) we worked very collaboratively. Everyone gets to work on some pieces that he/she is interested in and each step involves collaboration. In this conext, I kept track of the project’s progress, making sure everyone works on their interests while meeting the milestones.